Join Janice Simmons and make this fun modern block of the month. Two blocks each month for 6 months and a finishing class. You don't want to miss this! Reserve your kit soon! In 1990, the path of Janice Simmons’ passion for creating with textiles took an unexpected turn when she discovered quilting. 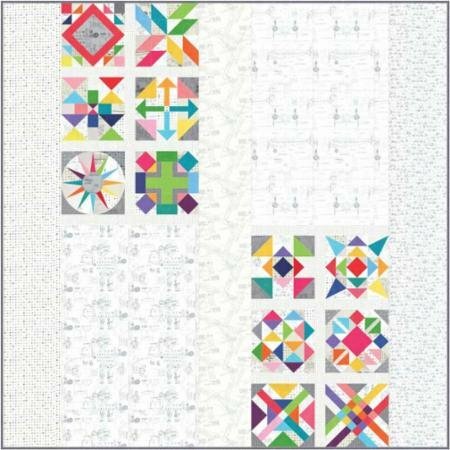 Later, while traveling for work, she discovered a love of English Paper Piecing handwork and spent many evenings in hotels fine tuning her EPP skills. Janice’s intricate fussy cutting and unique use of fabric reflect a sense of whimsy in her EPP work. 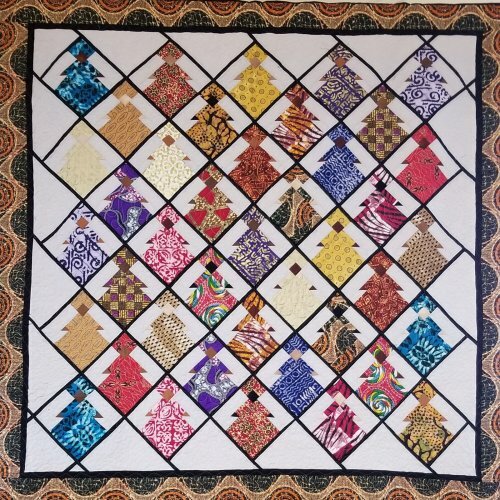 Janice is an active part of the Central Valley quilting community teaching English Paper Piecing classes and showing her work at Best of The Valley Quilt Show. Recently, Janice contributed to Tula Pink’s embroidery book, Coloring With Thread. MQC is honored to have Janice joing our team of instructors for this modern Block of the Month.